If we want to live a traditional life in this modern era then without any hesitation our first choice should be Bhutan “Gross of Happiness”. The second tour we will be on land of heaven “Kathmandu, Nepal” where combo of both journey will be life changing experience for us. This tour provides us chance to foretaste of Western and Central Bhutan providing to witness Paro Tsechu Tour-which can be the biggest Tsechu of Bhutan. The rest of country is being separates from western Bhutan through Black Mountain. It is a virgin forest providing a natural habitat for wild animal such as leopards, red pandas, black bears and so on. In Kathmandu valley we can discover of UNESCO listed world heritage sites such as Kathmandu, Bhaktapur and lalitpur durbar square , Pashupatinath Temple and Monkey Temple. Haa valley, Paro valley,Thimpu, Punakha Valley, Wangdue Phodrang and Phobjika Valley are pearl land for the people of Durukpa. The Western part is provides dazzling views of rice paddies, pristine rivers, unique two-storey houses, magnificent mountains and so on. We will pass three passes which are Cheli La (3988 m), Douchu La (3050 m) and Pele La (3300 m), from where we can witness dazzling scenery. The central core attraction of this part is Trongsa and valleys of Bumthang. We will drive over three passes which are Yotang La(3400m), Sherlang La(3573m) and Thrumshing La(3800m).On the way, we can witness buckwheat and apple production, stone houses and monasteries. We will visit the Tsongsa Dzong one of the finest architecture of Bhutanese and explore Bumthang “cultural home land”. In Kathmandu valley we can witness the Kathmandu, Bhaktapur and Lalitpur Durbar Square respectively and in parallel we can witness of Pashupatinath Temple and Monkey Temple. Interesting fact is that all of them are listed on UNESCO world heritage sites. We will be welcome by our company representative from an airport and transfer to hotel in a vibrant city of Kathmandu, Thamel. Upon yours arrival in airport claims your luggage and walk through customs; our representative will transfer you to your hotel. After being refreshing we will visit national museum located on ancient watch tower. In museum we can foretaste arms, utensils, paintings, books, textiles, gallery of philatelic collection and so forth. Overnight stay in hotel at Paro. 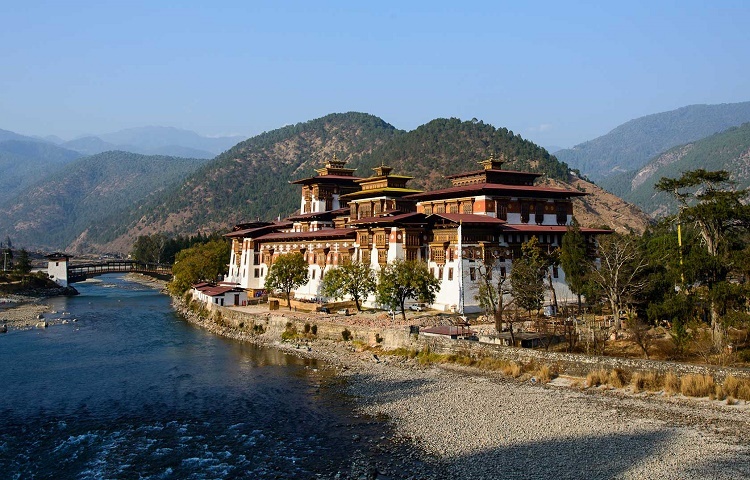 After breakfast we will witness highlights of Paro which are Paro Rinpung Dzong, Kichu Temple,Drugyel Dzong and so on. 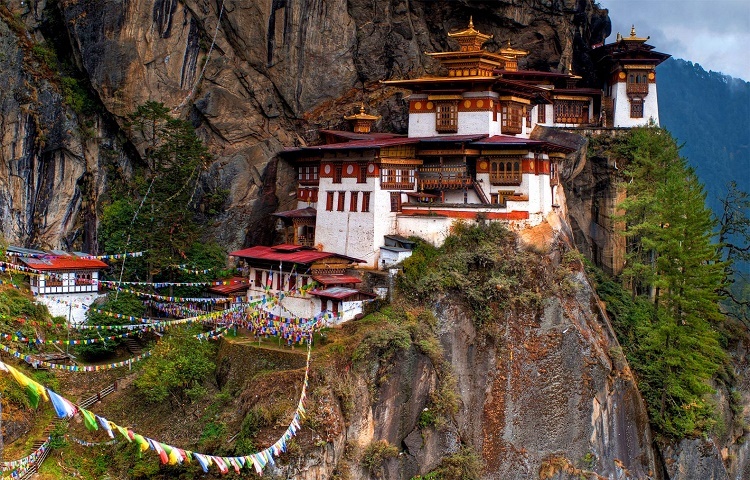 At afternoon we will hike towards legendary Taktstang Monastery (Tiger’s Nest) which is 600m up on a cliff overlooking a valley. It takes around 2 hours to reach tea houses or one can go through Pony also. It takes around 45 minutes from tea houses to reach to Tiger’s Neast and other temples near the surrounding. Returning from there is almost all downhill and takes around half one hour. Overnight stay in hotel at Paro. Post breakfast we heads towards capital city of Bhutan “Thimphu” after refreshment we can stroll around the near surrounding of it. We can do shopping and taste some local unique food by our own. We can take self guided tour to King’s Memorial Chorten. Overnight stay in Thimpu. After breakfast we head towards local market during weekend, where people from far and near sell their product. We can buy product if we want and can foretaste the traditional archery game on nearby ground. During these periods in Thimpu we can witness traditional architecture monasteries, arts and paintings, textile museum, mini zoo, memorial chorten, Tashicho Dzong, Zangdopelri temple and other sights as the time remains. Overnight stay in Thimpu. After breakfast we drive for 3 hours to reach to Wangdiphodrang and Punakha. On the way we can witness spectacular panoramic views of the snow capped mountain ranges, stupas and hundreds of prayers flags fluttering in the wind. Punakha and Wangdue valleys are at lower elevations (1400m) so it is comparatively hotter. We check in hotel when we arrive there and take some rest. Post lunch we visit former winter capital of Thimphu “Punakha Dzong” and other sites such as Chimi Lhakhang temple. Overnight stay here. After breakfast on dawn we drive to Jakar and start the climb from Chuzomsa slowly for about 2 hours. On the way we will cross the black mountains at Pele La Pass. From here we can witness Mount Jumolhari and amazing glance of valley. When we cross the pass,we will be in Mangde region where people speak their own local language. On the way we can take rest to stretch leg, to take picture and for wash room. Overnight stay and dinner at mountain Lodge. At dawn we have breakfast and drive towards Jambay Ihakang where we can witness Chakar temple (iron castle) and Kurjey monastery complex. On the way we can witness Chamkhar Chu River, smaller Kunchok temple. Post lunch we will visit new monastery of Namhai Nyingpo, the traditional hospital, Lamay Gompa and so on. Overnight at mountain lodge. Post breakfast we head towards the Ura Valley which is the highest of the Bumthang Valleys. We can witness closely clustered houses and it is itself a unique in Bhutan. People from various locations come to involve in high spirited onlookers dressed in the finest clothes and jewelry to pay respect and get blessings at the “Tshechu”. We will camp at the Ura Village or homestay in there. Post breakfast we will go to festival place and watch festival all day and drive back to Bumthang at afternoon. Overnight stay there. We will return back across Yotongla pass and heads down towards Trongsa. In the afternoon we will visit historical trongsa Dzong, site of emergemce of present Royalfamily of Bhutan and Ta Dzong(watch tower). Early breakfast we return back to west and on the way we will visit the Chendebji Chorten (White Monuments). We will pass towards Pelela pass (3,300m) and we will down towards valleys of Punakha and Wangdi. On the occasion we will pass through hills and pine forests and get pass through Dochula pass (3,100m) from where we can again foretaste marvelous views of an eastern Himalayan range such as Gangkar Phuensum (Bhutan’s Highest Peak).we will arrive to Paro via Thimpu. 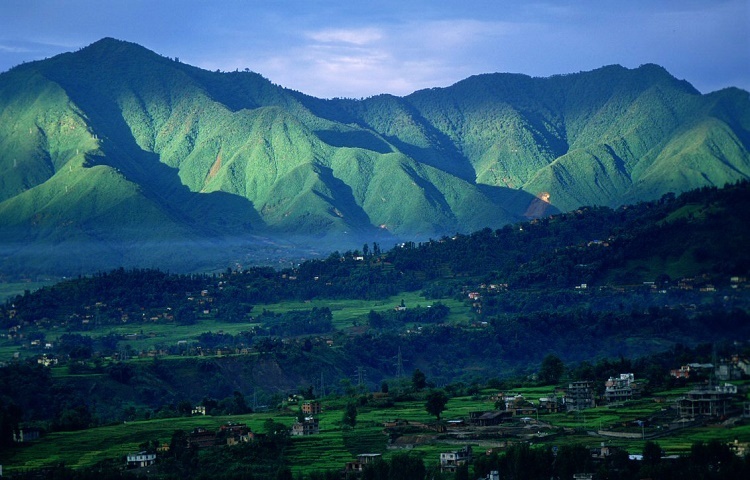 Our company representative will drop you to an airport in time for flight to Kathmandu, Nepal. After you land on airport of Kathmandu our representative will drop you in hotel. At dawn we have breakfast we have sightseeing of Pashupatinath Temple, Monkey Temple, Kathmandu durbar square, Bhaktapur Durbar square and Lalitpur Durbar square which are all listed in UNSECO world heritage sites. All of them are amazing on own self offering us various scenery. At night we will organize a small party to you for completion of tour with Nepalese national food. It is the day of departure, so our company representative will drop you to Tribhuvan airport. Remember the schedule can be change as of your desire and we can go for another trip also as your time gives.